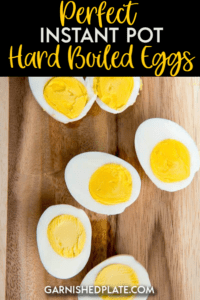 Perfect Instant Pot Hard Boiled Eggs are the simplest and most foolproof way of making Hard Boiled Eggs every time! 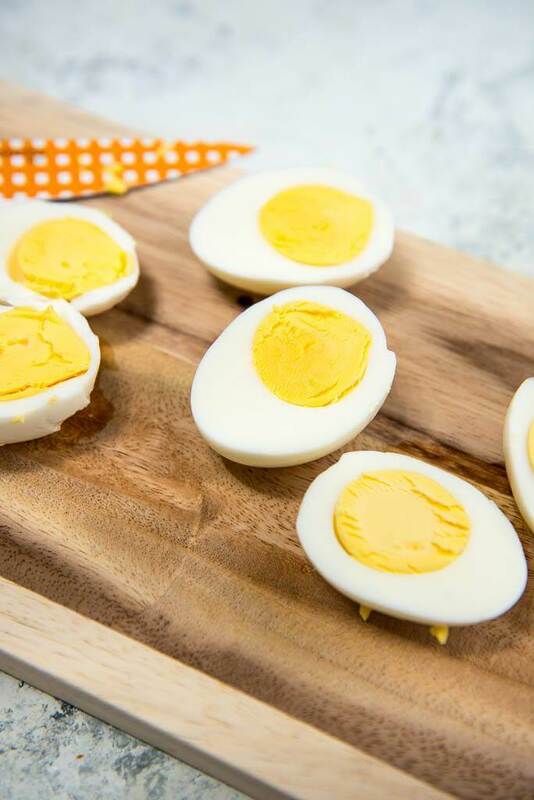 Whether you are a beginner at meal prep or a pro, you’ll probably know one of the simplest and easiest things to keep on hand that can serve as the perfect protein source or quick breakfast or lunch are hard boiled eggs. But for something so simple, seriously, how can it be so hard? 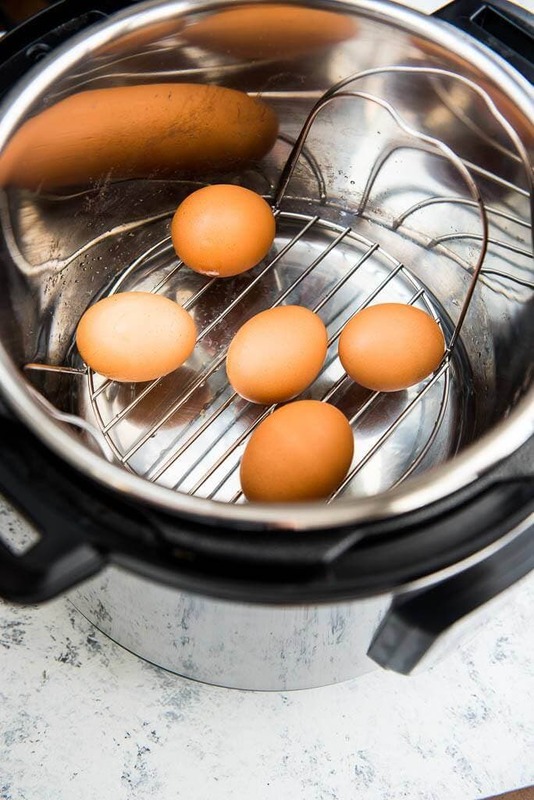 Maybe you have the perfect method down, but then again, maybe you are like me and you have to call your mom or google every time you decide to make some to see if you can’t find that elusive foolproof way to make eggs. You don’t want that green ring (yuck), you don’t want them runny in the center and you certainly don’t want them to be so hard to peel that they end up looking mangled. 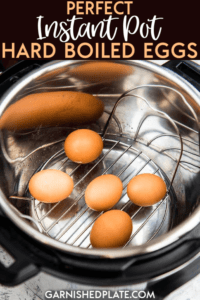 Enter Perfect Instant Pot Hard Boiled Eggs and the solution to all your problems (or at least the egg related ones!). Many of you bought an Instant Pot during Black Friday or Amazon Prime Day, right? Have you started using yet? Any favorite recipes? I haven’t totally gotten on board with it yet, but if I use mine for eggs every week I’ll be happy. Did I mention how easy it is? No boiling, no supervising a pot of water, no stressing over the timer. 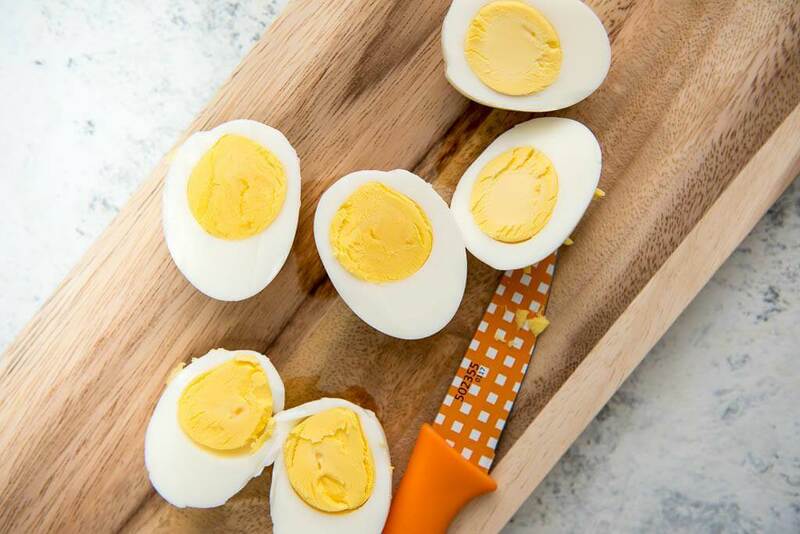 Just perfect eggs. Every single time. 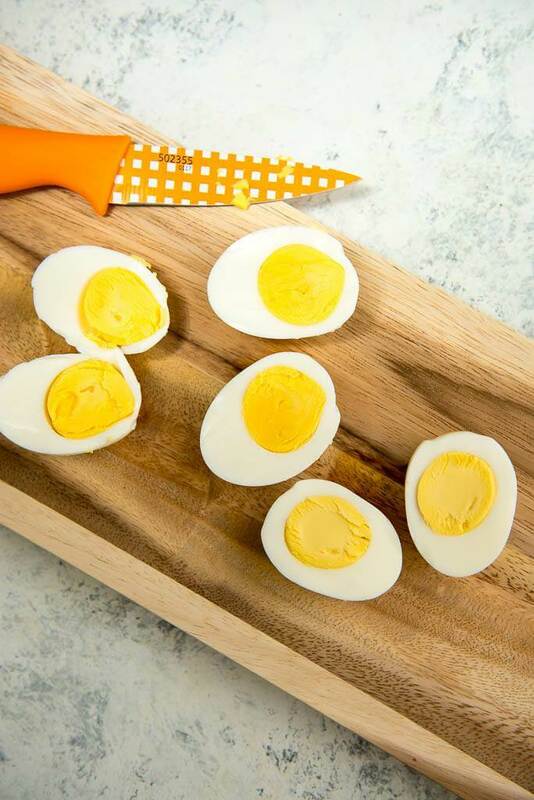 The eggs peel so easy, like no other method I’ve tried, and believe me I’ve tried them all. 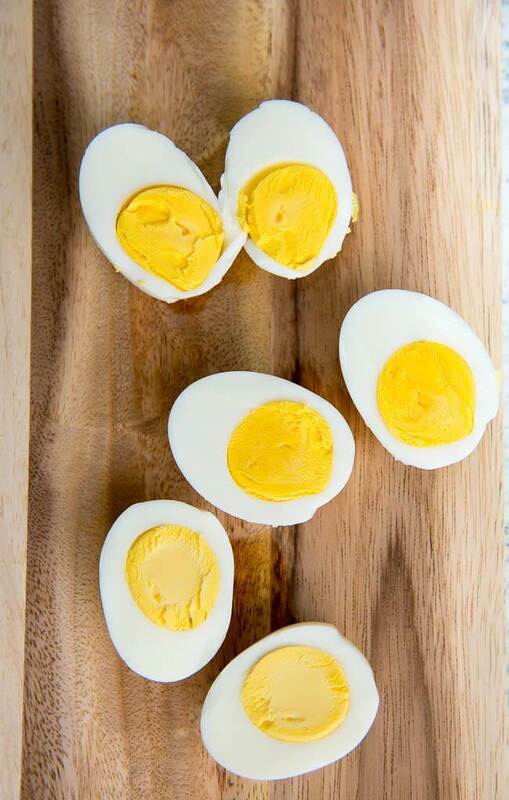 And you can make a few or a lot of eggs. I made them for a new cracker salad I’m working on and I should have made more because my kids were snagging them up as soon as I could snap a few pics for this post! 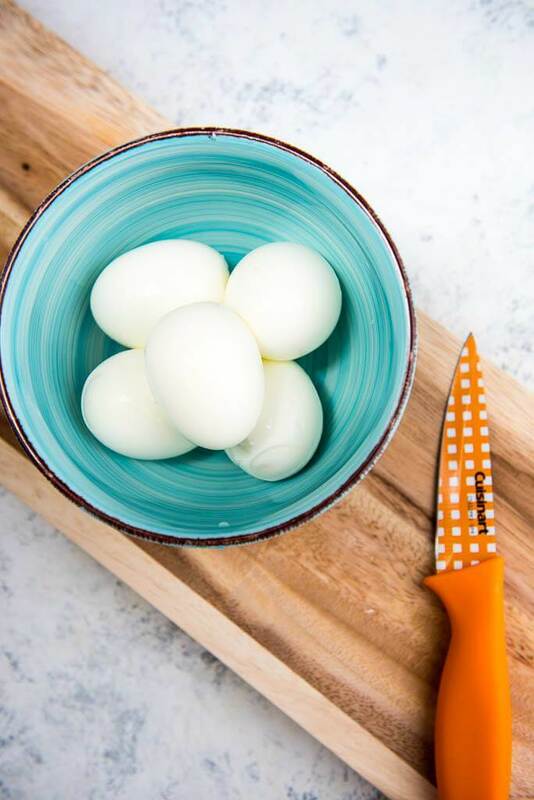 Which naturally leads me to all the ways you might want to prep and use hard boiled eggs yourself! or add to other salads for more protein, like chicken or tuna!